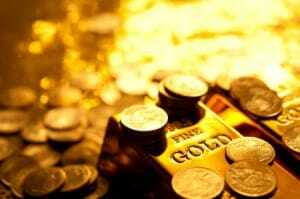 Precious Metal IRA Account > Easy Steps To Open Yours! Opening a precious metal IRA account could be a great decision for your retirement planning strategy, and setting up the account is easy. Regardless of your specific financial goals or investment experience, keep in mind that one of the first essential steps to opening your new IRA is selecting an established precious metals company who will assist you in setting up the account and funding it with the right assets. By having the guidance of knowledgeable advisors, you can feel confident in your investment decisions and be sure that you are maximizing the potential of the account. Below, we walk you through some of the primary steps involved with opening your IRA and what you can expect during the process when working with the experienced professionals at Birch Gold Group. If you have an eligible 401k or IRA, you can rollover those funds into investments in gold, silver and other precious metals. You have the option to convert a portion of your paper IRA or all of it into a precious metal IRA account – this is completely up to you and dependent upon your individual financial goals. Converting your existing account is simple: your Birch Gold Group specialist will guide you through the process and assist you with the necessary paperwork. 2) New account? No problem. Your precious metals advisor at Birch Gold Group will provide you with the proper forms and any other information you need before opening a new precious metal IRA account. With Birch Gold, you can have peace of mind knowing that your account will be administered by one of the nation’s leading precious metals IRA custodians. 3) Select your precious metals. Regardless of whether you are rolling over an existing account, or opening your first IRA, the next important step is choosing your investments. A variety of precious metals are approved for placement within an IRA, including an array of gold and silver coins. If you’re not sure which assets are right for you, don’t worry. Your precious metals specialist can provide more information on your options and help you choose your investments based on your individual situation. It only takes one phone call to get personalized recommendations and expertise from our knowledgeable advisors. 4) Remember your annual contribution limits. Every year, you can continue to add new investments to your account, up to the contribution limits allowed by current tax laws. Speak to your precious metals advisor about ways to invest on a regular basis and diversify your assets over time. Learn more about opening a precious metals IRA by calling Birch Gold Group today at (800)355-2116, or by filling out the form on this page. Birch Gold Group is a leading precious metals asset firm, rated A+ by the Better Business Bureau. We specialize in a variety of precious metals for placement within an IRA (More Info) or physical possession, including gold, silver, platinum and palladium. Whether you are new to precious metals, or an experienced investor, we can help you safeguard your retirement savings with strategic investments that are aligned with your goals. Contact us today at (800) 355-2116 or fill out the form on this page to learn more about a precious metal IRA accounts.